The Slow Flowers Movement has a lot to celebrate lately – and I want to share with you the very good news that occurred just before Mother’s Day. While some may view this as a merely symbolic event, I applaud the news that both the Senate and the U.S. House of Representatives passed Resolutions about flowers last week. Seriously! 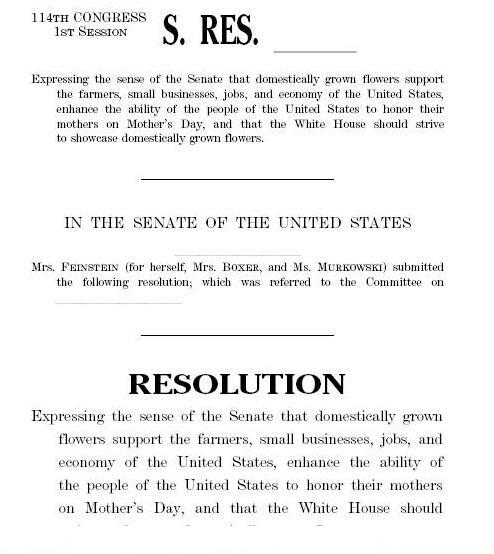 The opening lines of the Senate Resolution urging support of American Grown Flowers. Follow this link to read the entire Senate resolution #166, passed unanimously and introduced by Sen. Dianne Feinstein, with Sen. Barbara Boxer and Sen. Lisa Murkowski. Expressing the sense of the Senate that domestically grown flowers support the farmers, small businesses, jobs, and economy of the United States, enhance the ability of the people of the United States to honor their mothers on Mother’s Day, and that the White House should strive to showcase domestically grown flowers. 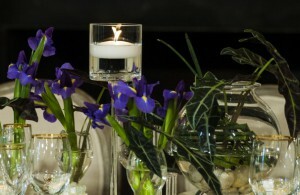 (c) Washington Post image of California irises and Florida tropical foliage. (4) the White House should strive to showcase flowers and greens grown in the United States to show support for the flower breeders, farmers, processors, and distributors of the United States. In addition to congratulating these policymakers and their staff members for doing the right thing for American Flowers, this good news would never have happened if it wasn’t for the determination of Kasey Cronquist, CEO and Ambassador for the California Cut Flower Commission and the flower farmers of his state who have invested time and financial resources to visit Washington, D.C., year after year for the past five years, to engage in conversation with those elected officials. That is huge and I am pleased to have joined this effort in a small way by joining those delegations in 2014 and 2015. At the helm of this strategy is Bill Frymoyer, of Stewart & Stewart, the man who represents the American Grown effort in our nation’s capital. Bill and Kasey have authored this strategy that of course was crafted to benefit the agenda of California’s cut flower growers, but also creates a ripple effect to benefit everyone in the Slow Flowers community. When a spotlight in Washington, D.C., shines on domestic flowers it brings attention to you, to your flower farm (no matter what its size). It gives credibility to our cause, the cause of people who care about keeping flowers local, seasonal and sustainable. I encourage you to reach out to your own representative or Senator and let them know that you are a cut flower farmer in their district or state. Take the time. Send a letter. Deliver a bouquet. Thank them for signing onto these resolutions and tell them the support means something to you. And by the way, here is a great resource to help you send that message efficiently and directly. I am always shocked when someone tries to drive a wedge between the big-idea American grown movement and the grassroots local-flowers movement. There should be no wedge. We need everyone’s efforts to fight imports. Every single flower farm and farmer; every single florist and designer who makes a mindful choice about sourcing flowers grown and harvested from American soil; every single customer who orders flowers and asks for local or American blooms. That is the rising tide that floats all of our boats. In your own backyard and in all 50 states. This blackboard/sandwich board is a message I can get behind. Spotted outside Foxglove Market & Studio, owned by today’s guest Christine Hoffman. 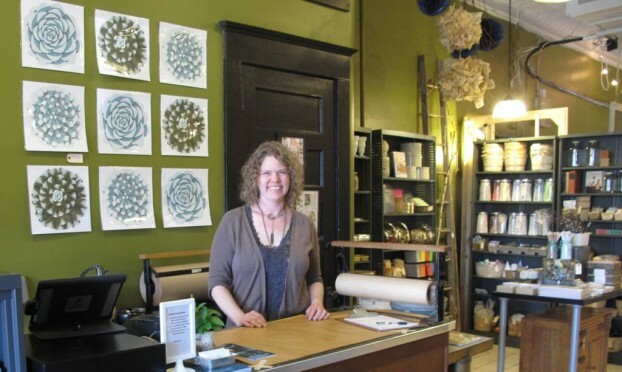 Local Midwest-grown flowers are at the heart of Foxglove Market & Studio. Proprietress and creative director Christine Hoffman. 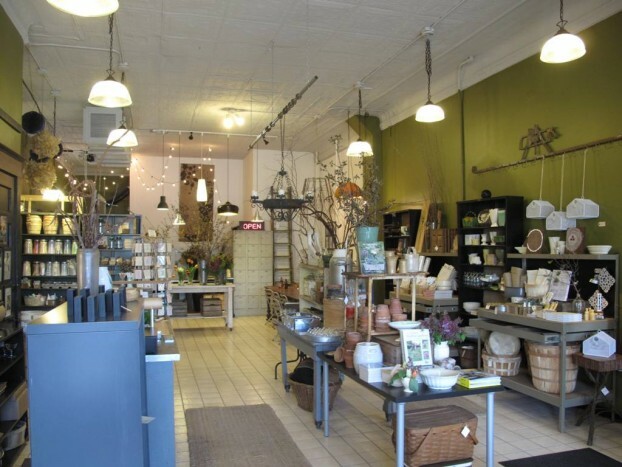 Welcome to Foxglove, where you can find an artisan gift, take a workshop or gather an armload of seasonal blooms. 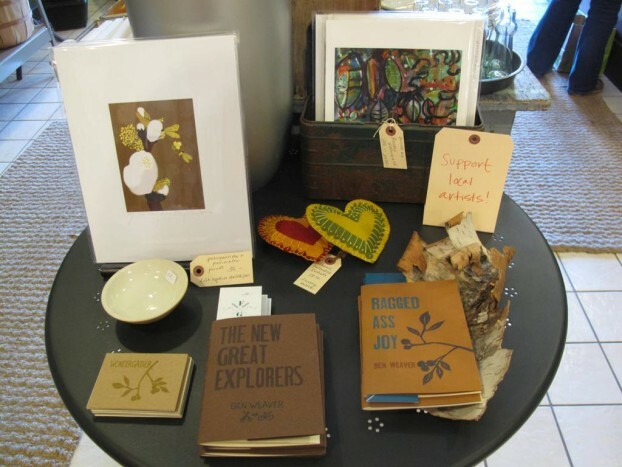 First the Marketplace, where an assortment of home goods, books, high quality paper products and findings, as well as Midwest salvage reflect Christine’s aesthetic as a former interior designer, photo stylist and event planner. Then there’s the Studio, where any number of gatherings take place – from floral design workshops and other creative hands-on classes to private pop-up chef dinners. And finally, the Flowers, a complement to every other activity held here. Of the Flowers, Christine focuses her offerings on seasonal flowers grown by local farms. Knowing where our food comes from and how it is grown and processed is once again becoming a natural part of our everyday lives. These same issues apply to our cut flowers. The majority of commercial flowers are grown overseas using a mixture of fertilizers, chemicals and preservatives that are anything but natural. Add in worker exposure and ship time and resources, and you’ve got one loaded bunch of tulips. It’s easy to grab a cellophane wrapped bouquet, pop it in a vase, and not give it another thought. Those flowers, however, have a big impact on our environment-both in a broad sense and in your home. I have a commitment to unique and expressive floral design, happy plants, and a healthy environment. By staying domestic and keeping it simple, Foxglove strives to minimize environmental and social impact. 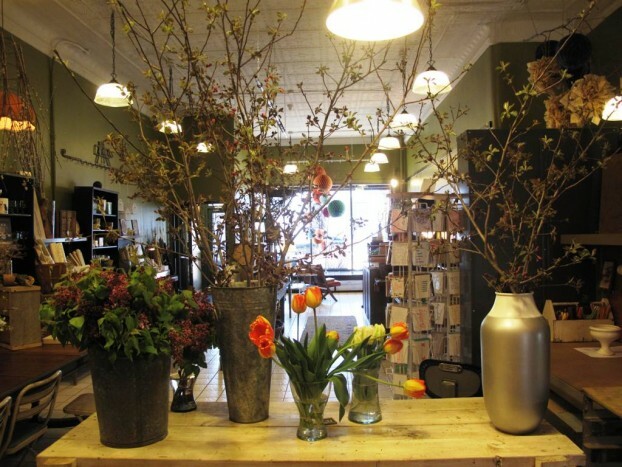 My farmers use sustainable and organic growing methods, and deliver blooms personally to my shop. My mission is a simple one, based on my personal aesthetic and belief that flowers are most beautiful in their natural state. To me it seems counterintuitive to treat soil and plants with artificial fertilizers, chemicals and sprays, and I really don’t want to trail those things into my home and onto my table. 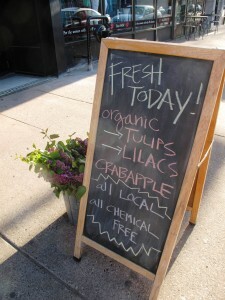 It poses a challenge in our cold climate to source everything locally, but it is a better choice for so many reasons. 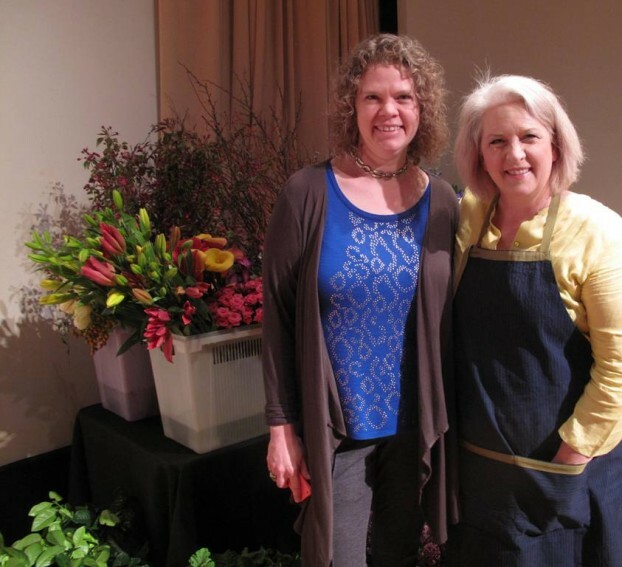 I am so pleased to welcome Christine Hoffman to the Slow Flowers Podcast. Since her days growing up in a river valley, gathering endless bouquets of wildflowers from the woods surrounding her childhood home, Christine has been in love with flowers. Her parents are both gardeners, and their knowledge of plants and flowers settled into Christine with each bed she helped prep (grumbling all the way), and each garden picked bouquet brought into their house. Listeners like you have downloaded the podcast nearly 48,000 times. 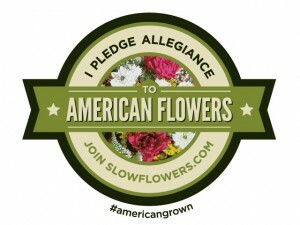 In fact, in April, we logged the all-time high number of 5,101 episode downloads which only means that the message of Slow Flowers and the farmers and florists who exemplify this movement is reaching more and more listeners. This entry was posted on Wednesday, May 13th, 2015 at 6:42 am	and is filed under American Grown, Blog Posts, Creativity, floral design, Flower Farming, General, Podcast Episodes, SLOW FLOWERS Podcast, Slowflowers.com the Directory of American Flowers. You can follow any responses to this entry through the RSS 2.0 feed. You can leave a response, or trackback from your own site.